So this is our second year of SCi and second annual round-up. The weather was much kinder to us this year than last, at least for the first half anyway. That said, strong winds kept coming even late into spring bringing swell that kept crags like the Grind of the Navir and South Gill out of action much longer than normal. In late summer not a great deal was achieved, although personally that was due to using the best weather to replace our roof! Rewinding to this time last year, it was shaping up to be quite a mild winter. 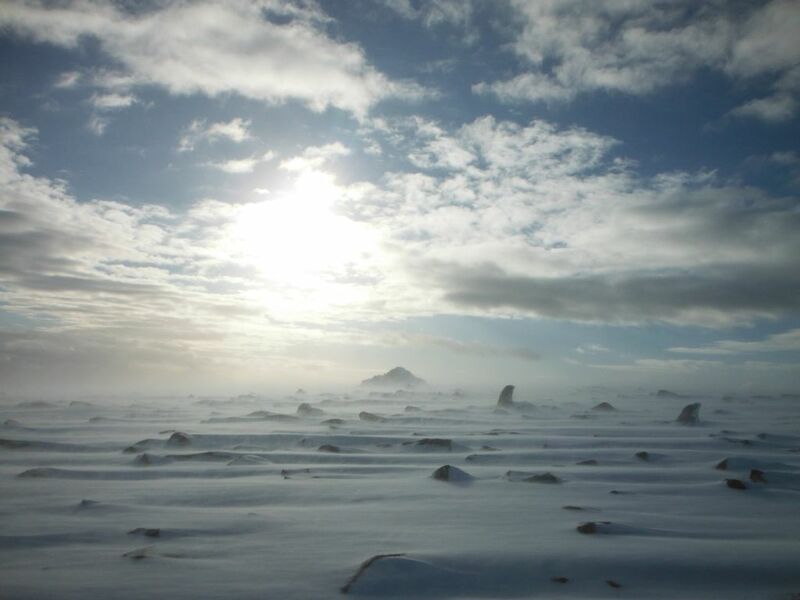 The storms seemed to be few and far between, although one wintry weekend did give a chance for some ski touring. Still not enough for any freezing gullies or waterfalls though! Just 2 weeks later the temperature had risen by over 10 degrees and we jumped at the chance of some early season rock, a rarity here. 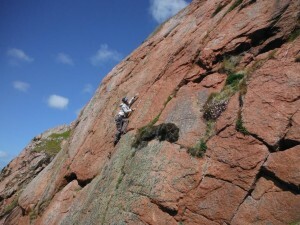 Bannaminn didn’t disappoint and we even developed another area of the crag adding several new routes. 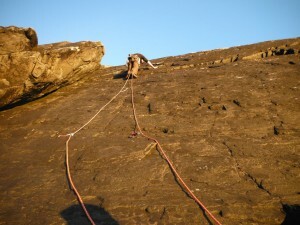 It was quite surreal to be climbing in a t-shirt this time of year. For the next few months it felt like day after day of sunshine and very little rain. Well that’s what I saw from the office window anyway! The temperature might have still been low but that didn’t deter climbers from heading out. Sandstone crags are usually the best at this time of year and the Bressay crags of Muckle Hell and The Veng were popular, often sheltered from the wind too. We’re hoping to get these crags documented soon with topos on the site. 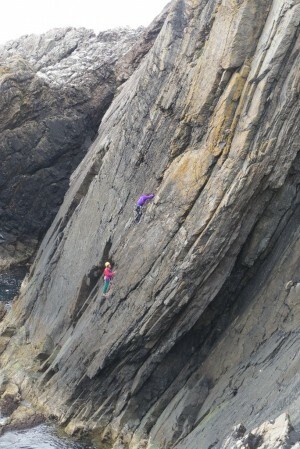 I didn’t have much climbing to shout about but had much more exciting things on the mind, getting married in April! The weather held for us, too. Into May the weather seemed to be less dependable. We took the time to launch the new set of miniguides for many of the popular crags, and these are now available from the website. 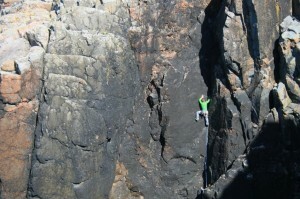 We also received the new Scottish Sport Climbs guidebook with our own small sports crag, Raasmi featured. Keeping on the sandstone theme, Pobie Skeo, a small crag on the west side got a lot of attention. Surprising really, as hardly any of us had bothered to venture out there before, only knowing of it from the Highlands and Islands guidebook. It is a lovely venue and we promptly filled in most of the gaps in the main wall with new routes. We’ll be back though, as the superb-looking E2 and E4 routes both evaded us, due to poor conditions, and… ok, ok, we just bottled it! June started with a day trip to Ronas Voe. This always takes some organising as a boat is needed to get there. After much swearing and quite a few spare parts my outboard sprung back into life and was back on my newly done-up boat. I had to take the boat round the long way in less than favourable conditions having run out of time to finish the trailer, but at least it was ready. After a few shuttle runs across the voe, 10 of us were racked up and enjoying the sunshine on the perfect granite outcrops. This really is a great spot and always good to be back. 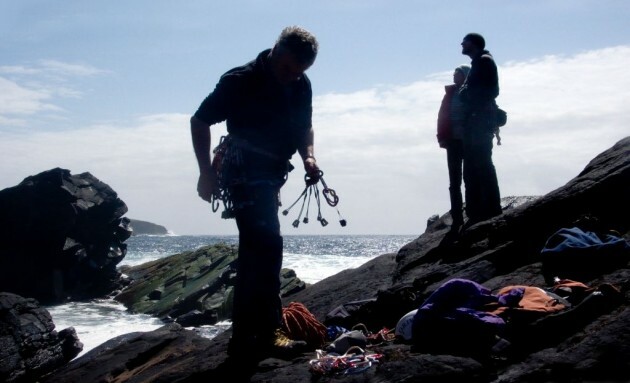 Later in the month a trip to explore the sandstone crags of south mainland was planned. This area is well known by a few who live down that way, but mostly isn’t recorded. First we headed to Vaakel Craigs, but were slightly disappointed. This crag was once thought to have a great deal of potential, but has since been overshone by the Bressay sandstone crags. 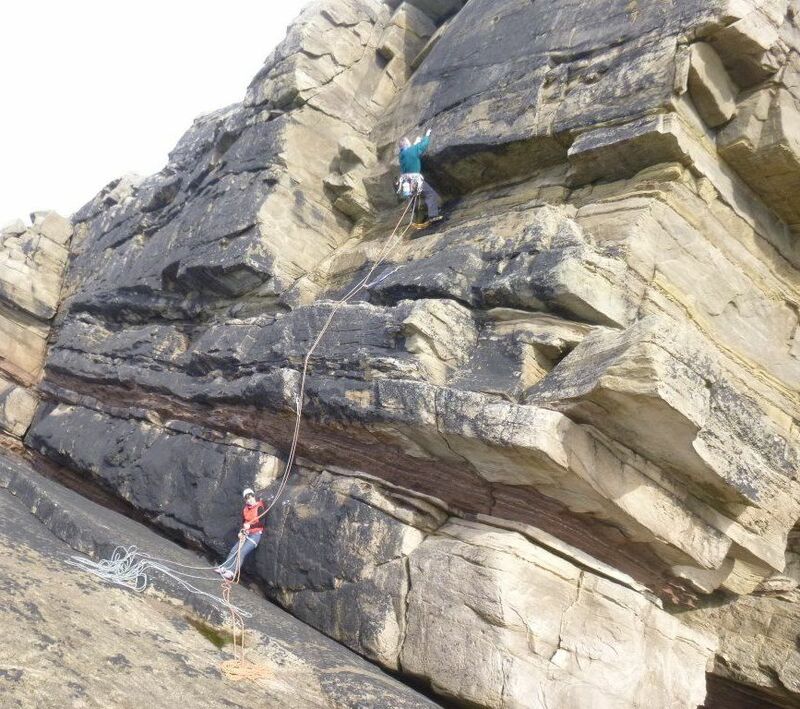 After a few routes we gave up as the wind was whipping round the crag so we headed to Scatness instead where we had far more success although many of the best looking lines turned out to be quite loose and scary. Still, it was great to be out exploring places new to us. 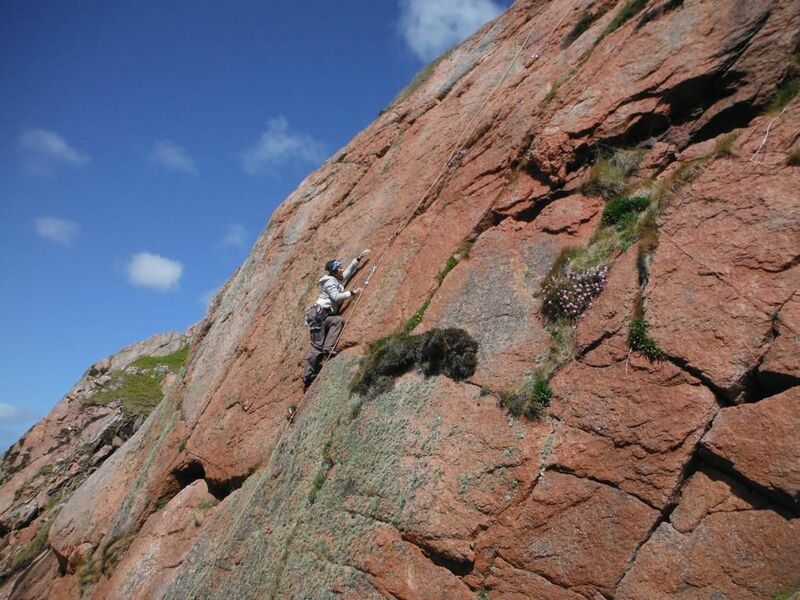 The Shetland Climbing Symposium unfortunately had to be cancelled, but that weekend many of us still attempted to climb in the rain and drizzle, heading out to Otters Head and re-familiarising ourselves with this crag, which still has great potential for exploration. Determined to make the most of the get-together we even managed the barbeque in the rain and wind. A few visiting climbers teamed up with local friends and sent through a great report of a new crag on the west of Shetland at Fidlar Geo. It’s always a pleasant surprise to hear of others developing and enjoying new routing here. We headed out to the crag shortly after but high swell prevented us from getting to most of the routes. It’s an interesting crag with some good potential for more routes. I’m looking forward to heading back in better weather next year. 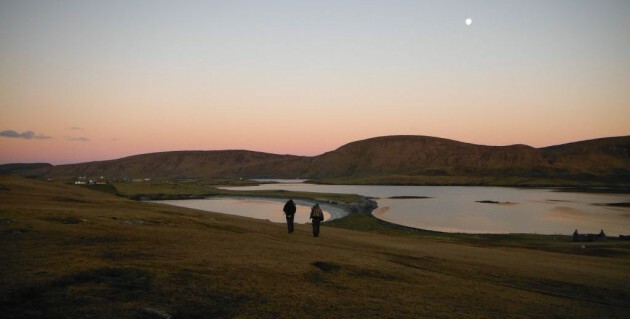 Other crags that received attention this year were Mangaster, The Veng, South Gill and Hamar. The Mangaster area is to the south of Nibon and promised a lot from first inspections. 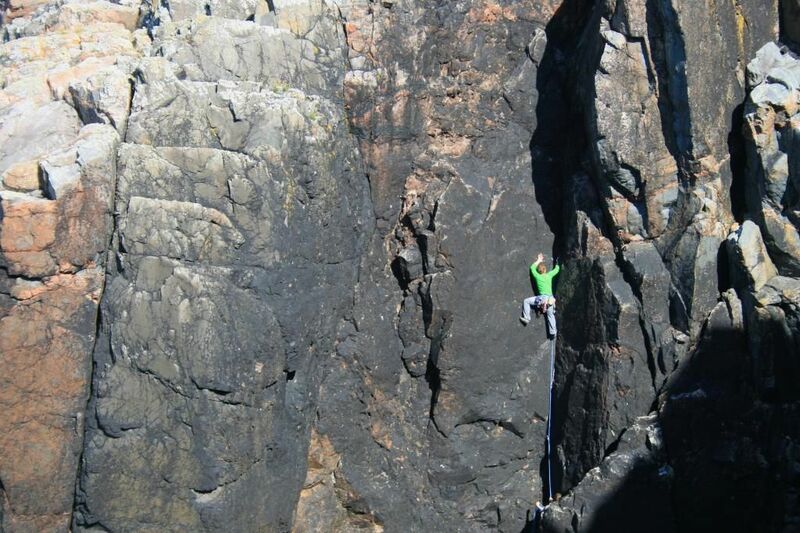 It turns out to be a similar area to that climbed by Mick Tighe and party some years ago. A few routes were added to the area, and it may well be somewhere that received more attention in years to come, if not put off by the long walk in. Paul and Tommy added a new E2 to the lower tier at the South Gill, but other than that this crag fell quiet again this year. Into August and September the climbing gear seemed to stay in the bag (or in my case on the roof), and this soon turned to the wintry weather, shorter days and longer nights. But the days are already getting longer and I’m training and looking forward to the 2014 season. Happy New Year to all and thanks for the continuing support and feedback on the site.